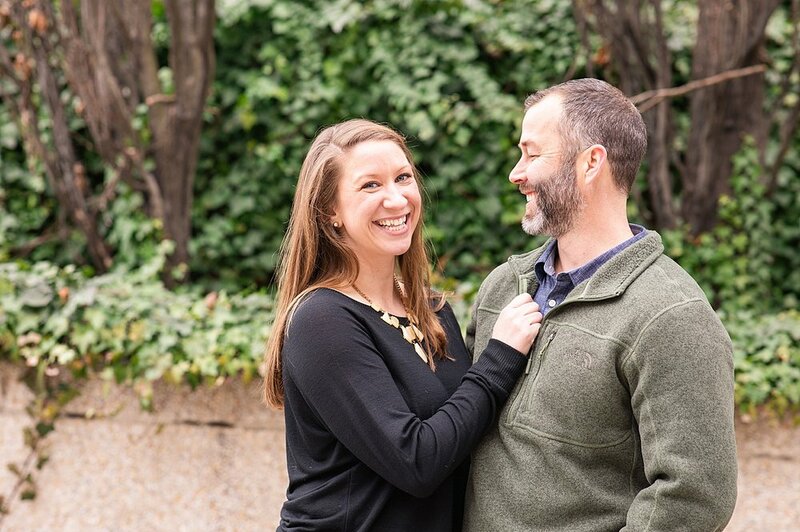 This was our first engagement session of the year in Downtown Roanoke the day after Jack and Abby’s wedding! That was a busy weekend for sure but we had so much fun with our couples! 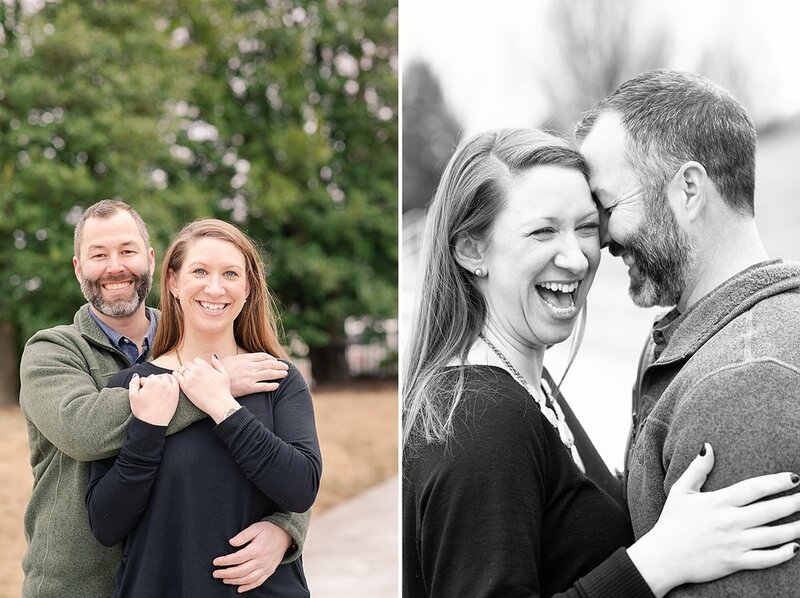 James and I use engagement sessions to teach our couples how to pose and adding freezing temperatures to the mix can make things so difficult! I always have a special love and respect for my winter brides and couples for this reason. However, Maggie and Charlie were pro’s with our posing techniques!! At the beginning of our sessions I ask my couples if they have ever modeled before and usually the answer is no. That is actually the answer I hope for because James and I love teaching our couples posing and this helps us find their best pose! Every couple has “a pose” that just looks amazing every time and we usually find out which one is theirs at the engagement session. The problem with this couple is they had more than one!!! Seriously they just knew what to do and honestly made my job super easy. We just loved hanging out with these two and learning more about them!! In my inquiry questionnaire, I ask some questions about the wedding day and the couples plans for their experience with me. I also ask a nosy question about how they met and how they got engaged! I can’t help it I just love proposal stories! They were in Asheville, NC for a fun weekend trip and scheduled a Candlelight Christmas Eve tour of the Biltmore House. I have never been to the Biltmore House at Christmas time and by her description of the decor and ambiance I am putting that on my bucket list!!! Before we started to finish the tour, Charlie asked if I wanted to go get someone to take a full length picture of us with all of the pretty decor behind us and of course I said yes. I asked a woman to take our picture and Charlie said something to her husband as I was turning away, so I was worried that we may have messed a photo op up for them. As I started fixing my hair and making sure I looked my best for our picture, Charlie turned to me and started telling me how much he loves me and how much I mean to him. He got down on one knee and said, "I tell you all the time that we are going to be together forever and I mean it. Will you marry me?" I was absolutely shocked/stunned! He had to ask me if that was a "yes!" Needless to say, I said yes and it was the most beautiful proposal and time of my life. These two oh my gosh!! I know asking about my couple’s proposal story has nothing to do with photography but I LOVED reading this sweet story! Enjoy my favorite images from their Downtown Roanoke Engagement Session!! I just love the way he looks at her!! SO SWEET! He is a nuzzle pro! This is one of my favorites for sure! In love with this oval diamond! I have to believe that one day winter will be over, the sun will shine, and the plants will come alive again!